Once again, we will be publishing a month-at-a-glance calendar to raise funds for the Guild. The calendars will be sold at the Holiday Exhibition. 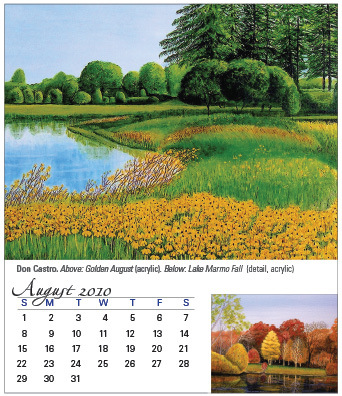 The calendars make great gifts and are the perfect size for a desktop or windowsill, measuring just under 5 inches wide. The deadline for submissions is September 25, 2010. As in the past two years, there will be a workshop in October to assemble the printed pages. If you have questions or need assistance with preparing your work for the calendar, please contact Mary Ingels.